The 5 Most Tragic Lottery Winners | Read Their Stories! Winning the lottery, especially the jackpot, should be a momentous occasion, right? After all, winning millions of dollars could very well change your life for the better in the blink of an eye. Unfortunately, life isn’t always picture-perfect. Sometimes, people are just dealt a bad hand – no matter how lucky they seem to be at first. 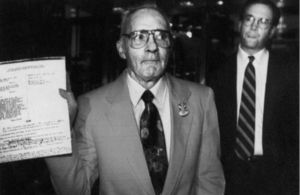 Sure, it’s quite common for lottery winners to spend all their winnings recklessly, but there are some whose misfortunes come from external sources – or what some say as the “Lottery Curse.” Today, we take a look at the stories of some of the world’s most tragic lottery winners. In 2002, Jack Whittaker became known for being the sole winner of the $315 million US Powerball jackpot – which was the largest amount won by a single ticket at the time. However, what was supposed to be a new lease on life for him and his family quickly turned into a parade of mishaps and tragedy. For starters, Jack became a victim of burglary when thieves broke into his car on two separate occasions and took off with thousands of dollars. In addition, lawsuits against his company kept coming soon after his win, and a casino sued him personally for allegedly bouncing $1.5 million in checks. To make matters even worse, a woman came forward and claimed that Jack had groped her at a racetrack. William Post III only had $2.46 in his bank account and was living on disability payments, when, in 1988, he won the $16.2 million Pennsylvania lottery jackpot. Not long after, tragedy after tragedy beset his life. It started off with reckless spending – which began as soon as he received his first annual payment. In the two weeks after getting nearly $500,000, he went on an insane shopping spree. He bought a used-car lot, a restaurant, and – get this – even an airplane, spending about two-thirds of his first payment in the short amount of time. In three months, he was $500,000 in debt. In one year, his debt ballooned to $1 million. 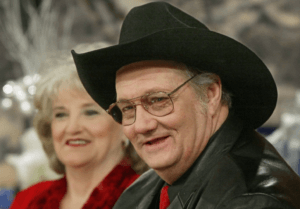 “Everybody dreams of winning money, but nobody realizes the nightmares that come out of the woodwork, or the problems,” William said, “I was much happier when I was broke.” In 2006, he passed away due to respiratory failure. He was 66. In 1996, Jeffrey Dampier won $20 million from the Illinois Lottery. Unlike a lot of lottery winners, Jeffrey didn’t indulge in reckless shopping sprees. He did buy presents for his family, but he decided to use a large portion of his money to start a gourmet popcorn business. However, his life would soon take a turn for the worse when Victoria Jackson, his sister-in-law with whom he was having an affair, plotted to rob him in 2005. Along with her boyfriend Nathaniel Jackson, they successfully apprehended Jeffrey and bound his arms and feet. What was supposed to be a simple robbery soon spiraled out of control as Nathaniel forced Victoria to make a terrible choice: either shoot Jeffrey or die. Sadly, she chose the former and Jeffrey Dampier died of a bullet to the back of his head. 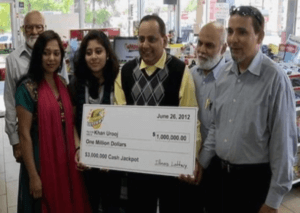 Urooj (center) pictured with his family and representatives from the lottery. A resident of Chicago, Urooj Khan was so addicted to buying lottery tickets, he had sworn off buying them at one point. However, going cold turkey didn’t do much to help him as Urooj soon found himself buying yet another ticket. Surprisingly, his addiction paid off – he won the $1 million jackpot! Unfortunately, before he could even enjoy his winnings, Urooj died shortly after his winnings were announced publicly. At first, the coroner declared that his death was from natural causes, but a close family member was skeptical. A second autopsy revealed that Urooj had actually died of cyanide poisoning. What was even more curious was that he had died shortly after eating the Indian Kofta curry dish his wife prepared for him. Urooj’s brother, ImTiaz Khan, also alleged that his wife Shabana attempted to cash in the check shortly after his death. Sadly, there has been no closure regarding Urooj’s case. Ibi and her husband during happier times. 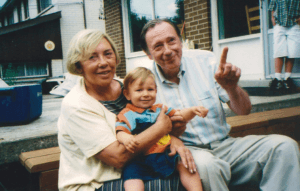 Hungary-born Ontario resident Ibi Roncaioli and her husband of 30 years, Dr. Joseph Roncaioli, seemed to live the idyllic life. They were quite well-off, thanks to Dr. Roncaioli’s gynecology practice that brought in roughly $20,000 per month. People who knew the couple would also agree that the couple seemed very happy with each other’s company. Behind the curtains, however, they were anything but. Their marriage was on the rocks – the couple wasn’t sleeping together anymore, and Ibi suffered from alcoholism. She was particularly mean when she was drunk, her son once said. When Ibi won a $5 million jackpot from the Lotto/649 draw in 1991, one would think that it would somehow give them a new lease on life, but it only made things much, much worse. In 2003, Ibi was found dead at her upscale mansion in Vaughn, Ontario. Detectives initially thought that she had died of natural causes. However, an autopsy report revealed something disturbing. Ibi’s body displayed several needle marks and a high (read: toxic) level of drugs in her system. Apparently, the doctor became infuriated when he learned that Ibi had squandered her entire life savings. It turned out that she illegally signed bank documents so she could transfer all the winnings to her possession. Once she did so, she gave large portions to her three children, including one child that she had before marrying Joseph – plus another one that she had kept secret from her husband. In 2008, Dr. Roncaioli was found guilty of manslaughter and sentenced to seven years in prison. 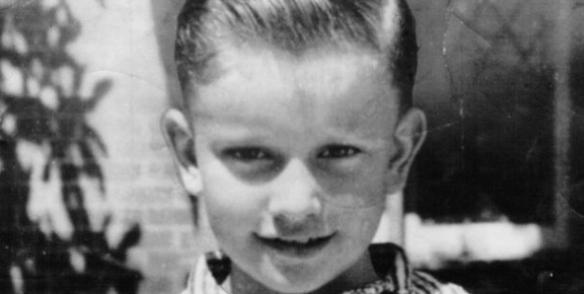 All the way back in 1960, eight-year-old boy Graeme Thorne from Sydney, Australia, was the victim of greed-fueled crime that captivated the nation and changed lottery laws forever. His father Bazil Thorne won the jackpot prize of A£100,000 (equivalent to almost A$3 million today) playing the lottery. The win was highly publicized in local newspapers, and drew the attention of many. Unfortunately, one of those included a dangerous man who would eventually become one of Australia’s most infamous criminals. He kidnapped Graeme Thorne and demanded for a portion of the lottery winnings as ransom. This led to one of the biggest manhunts Australia has ever seen. Unfortunately, it was too late for the young boy. He was discovered lifeless, in an abandoned lot not far from his home. This tragic event in the nation’s history sparked outrage from the public. Because of the innocent boy’s senseless murder, Australian laws now give all lottery winners the legal right to stay anonymous. Read more about the Graeme Thorne kidnapping here.